It is our biggest event in Europe. Joining all Tribo Players from Europe to a great atmosphere and an exciting 9 hours parade. Playing the best of Samba Reggae and many more Afro- Brazilian Rhythms. Guys if you want to come and play at this cool festival near Zurich let us know and get booking your flight to Zurich. There are loads of other cool bands and acts there too…headlined by an awesome group of Senagalise drummers and dancers. Ch…eck out the website for the festival below and some videos of last years event. The plan is to play on Saturday and Sunday in Rheinfelden, last year we stayed overnight in a nearby church and then went for a morning swim in the lovely clean river. 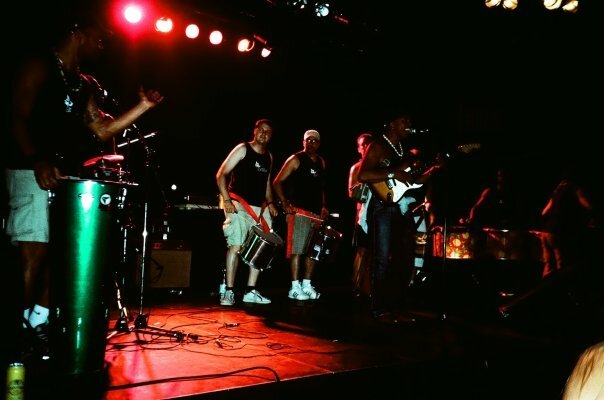 TRIBO is an authentic live Brazilian band from Salvador, Bahia. A samba-reggae sensation with influences of Timbalada, Olodum, Ivete Sangalo and Magarete Menezes. The music director is Marcos Santana of ex-Timbalada fame and singer Elisangela of Salvador’s Carnival. Assembled recently in London as a full band, this is a rare treat to experience the soul of Bahia. For the third year running, members of Tribo from Europe have traveled to Brazil to join the group in Morro de Sao Paulo to take part in the 2011 carnival, both on the island of Morro and in Salvador. In total, 12 people came over to take part in performing, enjoying the festivities and getting more familiar with afro-brazilian culture and the real authentic samba reggae experience. We look forward to doing the same next year again! Tribo are gearing up for what promises to be a new year’s party no-one will ever forget! 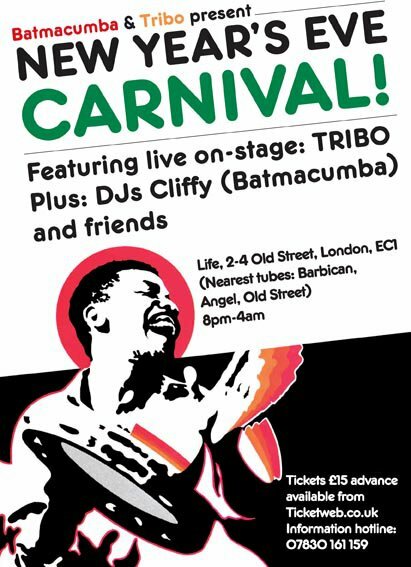 We’ll be teaming up with Batmacumba events and DJ Cliffy to present a high octane carnival mix of Brazilian & tropicalista sounds at a cutting edge Japanese bar, so make sure you get your tickets before they sell out!